Here is a GALLERY featuring images from "EMMA", the 1972 BBC adaptation of Jane Austen's 1815 novel. Adapted by Denis Constanduros and directed by John Glenister, the six-part miniseries starred Doran Godwin and John Carson. I wrote this REVIEW of "PERSUASION", the 1995 adaptation of Jane Austen's 1817 novel. Directed by Roger Michell,the movie starred Amanda Root and Ciarán Hinds. Here is a GALLERY featuring images from "PERSUASION", the 1995 adaptation of Jane Austen's 1818 novel. Directed by Roger Michell,the movie starred Amanda Root and Ciarán Hinds. 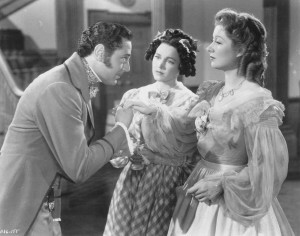 I wrote this REVIEW of "PRIDE AND PREJUDICE", the 1940 adaptation of Jane Austen's 1813 novel. Directed by Robert Z. Leonard, the movie starred Greer Garson and Laurence Olivier. I wrote this REVIEW of "MANSFIELD PARK", the 2007 adaptation of Jane Austen's 1814 novel. The television movie starred Billie Piper and Blake Ritson. Here is a GALLERY featuring images from "PRIDE AND PREJUDICE", the 1940 adaptation of Jane Austen's 1813 novel. 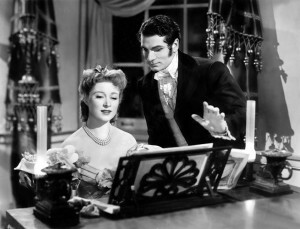 Directed by Robert Z. Leonard and adapted by Aldous Huxley, Helen Jerome and Jane Murfin; the movie starred Greer Garson and Laurence Olivier. Here is a GALLERY of images from "MANSFIELD PARK", the 2007 adaptation of Jane Austen's 1814 novel. The movie starred Billie Piper and Blake Ritson. I wrote this REVIEW of "PRIDE AND PREJUDICE", the 1980 adaptation of Jane Austen's 1813 novel. Adapted by Fay Weldon, the five-part miniseries starred Elizabeth Garvie and David Rintoul. Here is a GALLERY featuring images from "PRIDE AND PREJUDICE", the 1980 adaptation of Jane Austen's 1813 novel. Adapted by Fay Weldon, the five-part miniseries starred Elizabeth Garvie and David Rintoul.